The York Theatre renovation is the result of a decade long struggle to save the historic community theatre from demolition. Built in 1913 as the Alcazar Theatre, the building changed identities over its 100-year history and hosted everything from live theatre, punk rock concerts and Bollywood movie screenings. Originally targeted for demolition and redevelopment as townhouses, a community group lobbied City Council to instate a 90-day demolition stop work order. In collaboration with Jim Green, Henriquez completed a feasibility study that demonstrated the viability of reinvesting in the theatre. 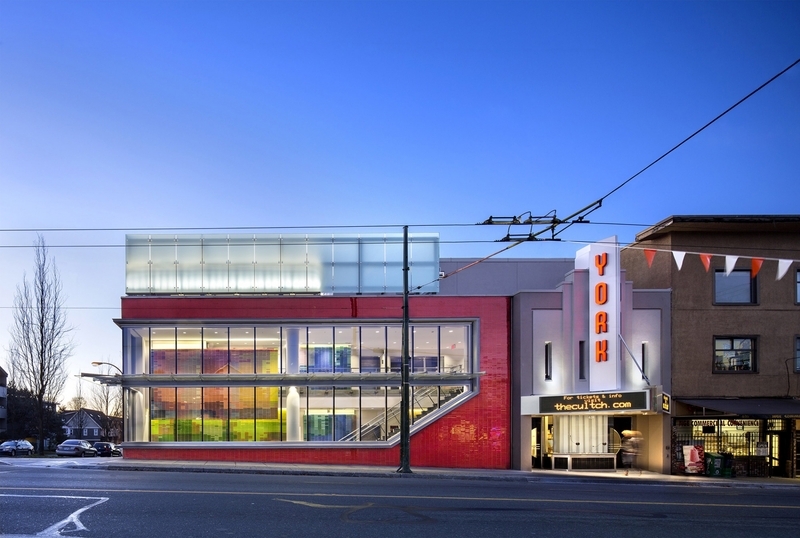 With the financial backing from the City of Vancouver and an enlightened local developer, the York Theatre was saved and rehabilitated through a heritage and density transfer. 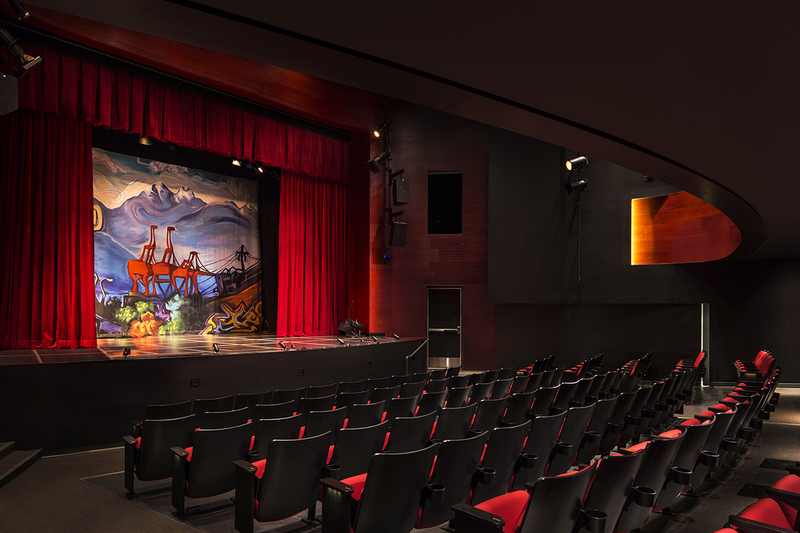 The project involved a full restoration of the entry to match the 1939 Art Deco facade, renovation of the theatre to transform the former facility into a modern performance venue, and a lobby addition. 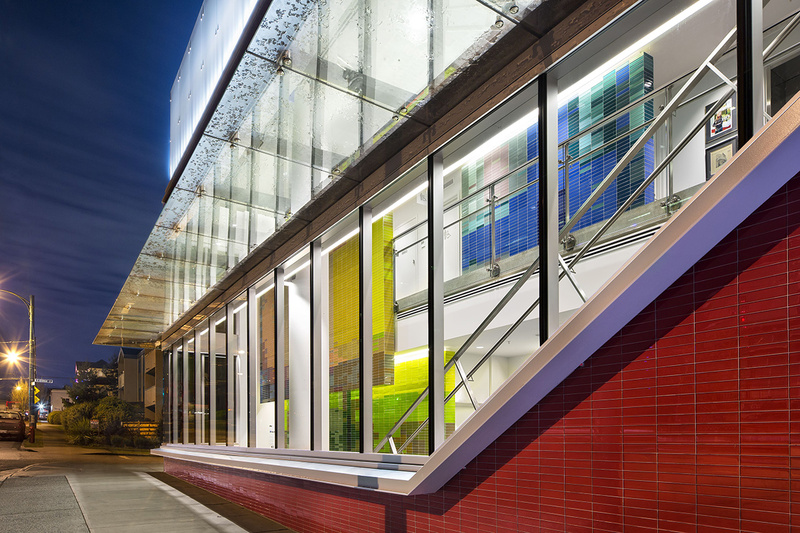 An expanse of glass in the new lobby makes the theatre open and accessible to people in the community, and animates the street life on Commercial Drive. 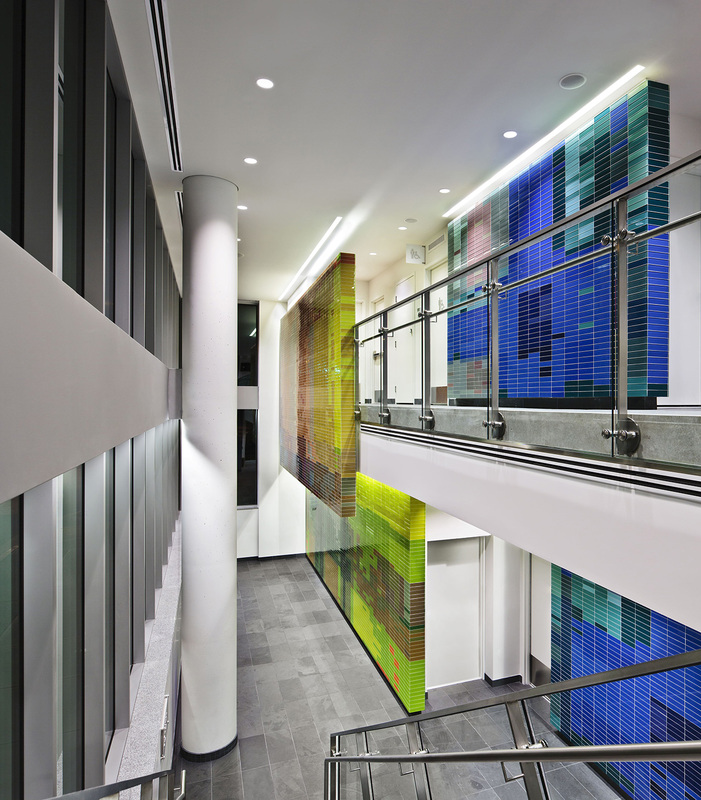 The locally sourced, red glass tile adorning the lobby exterior frames the crowd of theatregoers and recalls the red curtain that reveals the stage performance inside. 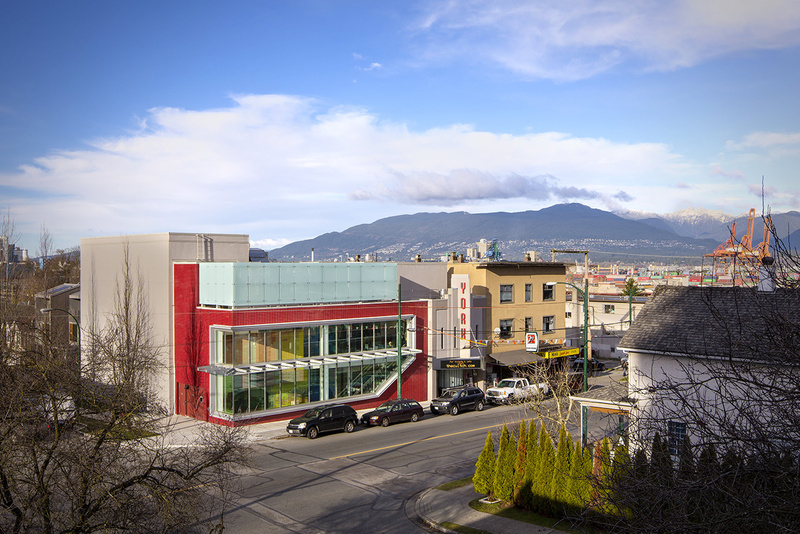 Now operated by the Vancouver East Cultural Centre (CULTCH), the theatre has become a cultural hub and has demonstrated that through collaboration meaningful projects can be salvaged.